This entry was posted in Uncategorized and tagged 1hip2hip, Twice As Hip, Weight Watchers. Bookmark the permalink. I have a paper journal that I might pull out. It might help to write down what I eat instead of typing for a week. Thank you for sharing! 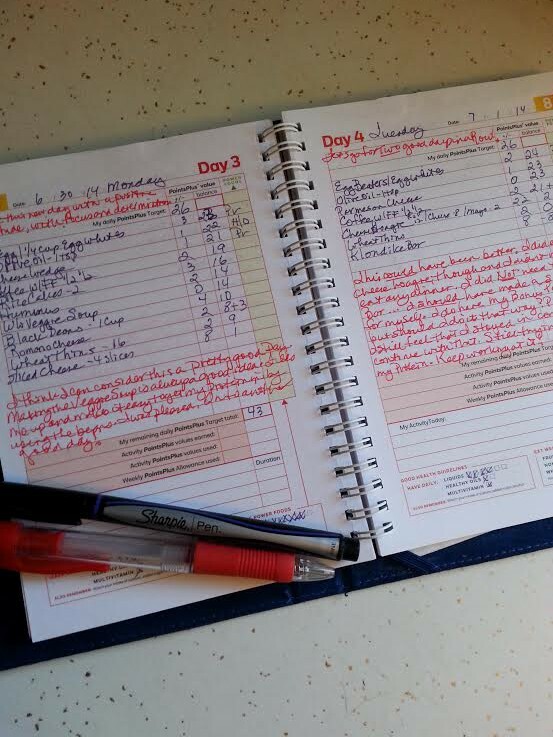 I have always been an advocate of writing down what I eat, ever since I started Weight Watchers. I think it is the best tool we have to keep ourselves on track. Let me know how it works for you! I’m glad you found something which works so well for you and allows for you to be healthy. It’s weird, but writing it down makes me crazy, which is so contrary to my list everything else personality. I just don’t want to put that much thought into my food and make it add up to some set ideal. I will put time into making it pretty though, add some diced peppers here for color, a little crunch there for taste. Oh well. I’m wishing you lots of luck although you aren’t even going to need it because everything is going to go swimmingly. Thanks, Meghan!! I’m trying to hang in there. I know it has to be better than it is now! !